OK, so we’re all smartphone-obsessed and we love those viral videos, but that doesn’t mean that the DSLR camera is dead. In fact, the opposite is true. Only super-sensitive pro DSLR cameras with huge apertures and ISO specs can dream of taking Northern Lights or night sky time-lapses, or even those pin-sharp city-scape videos that are so popular on the internet; everything you’ve ever seen online on either of those subjects has been filmed using a DSLR. But how? Until now, trying to ape the professionals and BBC documentaries to produce a time-lapse has been a painstaking process. The Alpine Labs Michron changes that by making your smartphone into a fully programmable remote control. Centred around a tiny black box with cables coming out of each side, it’s so simple that your camera can be busy beginning a time-lapse while you’re doing something else. Perhaps that’s the key reason to by the Michron; long nights taking long exposure photos of the night sky, or carefully constructed time-lapse sequences, are completely automated. Simply plug the black box into a smartphone, launch the free app, and choose the number of exposures, the time delay between each one, and even the frame rate. It’s compatible with all major makes of DSLR, including Canon and Nikon, as long as it’s got an external trigger port. Once the information has been transferred from the phone to the Michron, there’s no need for the phone at all, though the app will keep count and let you know when the time-lapse you programmed is finished. If you’ve left your DSLR camera out on the balcony, or outside your tent, that’s really handy. What the Michron doesn’t do is offer any movement, of course; your DSLR on a tripod isn’t going to go anywhere, so perhaps there is a slight lack of polish in the time-lapse results when compared to the BBC Wildlife team’s efforts. We also had a few problems with the app, which had a tendency to crash. 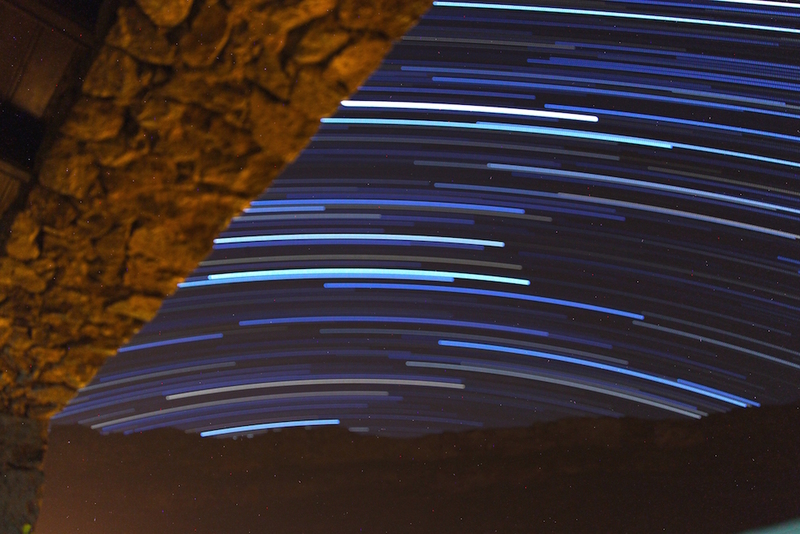 What the Michron excels at is star-trails. The old method of keeping the shutter open for 30 minutes to capture the motion of the stars in the night sky around the North Star, Polaris, is old-hat. The much better way to take such images is to take a (much longer) series of 30-second exposures, then stack then using third-party software. The results are much cleaner, but very fiddly to achieve Step forward the Michron which, once programmed, told our Canon DSLR camera to take 30-second exposures every 30 seconds for two hours. The results were stunning. Easy to travel with and giving the kind of automation night sky and time-lapse photographers need for little spend, the Michron is a great value gadget that lets you set-up a shot and go and do other things while your DSLR gets to grip with nature.